B2B sales representatives eager to close their commission-based sales all too often rush the entire process which, of course, causes buyer apprehension while heading for the door. Once could really find benefit in nurturing leads perhaps slightly slower, especially when testing new markets or catering to finicky buyers. With 2012 nearly in the books, 2013 presents new challenges among what could be our most challenging financial year post-911 yet; therefore, we introduce some lead nurturing best practices to consider when scripting your drip campaigns or initial post-lead capture phone calls. 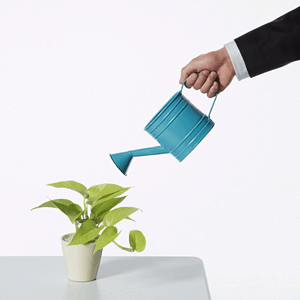 Here’s part 1 of our Best Practices for B2B Lead Nurturing Initiatives. Lead nurturing initiatives should begin with an assessment of your landing pages. Your landing pages need perfected before any discussion of nurturing potential B2B interaction commences. Succinctly purporting your message means becoming the buyer of your own products, perhaps better described as buyer empathy. If your landing pages lack fervor, insightful information or really zero mitigating reasons for potential business customers to request further information, your sales team will lead long, boring and commission-less lives. Content needs to clearly pronounce your business goals, product usefulness and even the key benefits of buying into these products or services. Perhaps one powerful, high profile buyer who willfully wrote an honest testimonial about using your services should appear on your landing page. If you have access to top-ranking spokespersons, this would definitely be the time to employ their services. According to recent Marketing Sherpa studies, 27% of captured leads are actually ready for salespeople, leaving 73% which must be nurtured before sales pitches are introduced. Insightful presales preparation, such as having live demos of products or services in action or informational welcome emails in place, have been known to make the entire sales funnel naturally populate with larger pre-prepped lead volumes; therefore, making a concerted effort in preparing your presales sales campaigns would provide immeasurable quality in both lead captures and less time in continuously polling leads before being shipped off to sales departments. Tomorrow we’ll finish up with Part 2 of Best Practices For B2B Lead Nurturing Initiatives. In the meantime, if you think Lead Liaison can help you with your lead nurturing initiatives please let us know!